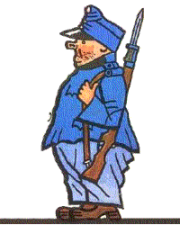 The Good Soldier Schwejk is a satirical novel which exposes the futility and idiocy of war as it tracks the progress of the Candide-like Schwejk, across the disintegrating Austro-Hungarian Empire. The various superior officers he encounters along the way can’t work out whether he is extremely stupid or an exceptionally clever and devious individual. Its Czech author, Jaroslav Hasek, produced it in instalments between 1911-1923 and shared some of the experiences of his protagonist, who stumbles from one mishap to another including interrogation as a spy by his own side and imprisonment for desertion. In one episode he is picked up by the Russian enemy. On other occasions, he just wanders off as the fancy takes him. Hazek’s novel has been praised as a post-modern classic and adapted to a number of forms, including dramatisation by Bertolt Brecht and Joan Littlewood. More recently, it seems to have sunk into obscurity. Maybe Christine Edzard’s new film can bring it back into the spotlight. Recorded over a period of ten days in July 2017 in Sands Films’ theatre Space The Good Soldier Schwejk captures both the actors’ performances and audience reactions to it. Previews shown at Sands Films in November, as part of its Armistice Season, were screened in the same auditorium as the film was shot, inducing a somewhat disorienting effect in this audience member at least. Edzard’s production spells out one message in particular: the arms trade has become one of the most successful global operations ever, by pursuing financial gain with no investment whatsoever in national interests. While world leaders can be persuaded that the only way to maintain peace is to have more weapons than the other side, arms dealers are free to ply their trade all over the world oblivious to anything but profit. Filming the stage productions has made the most The Good Soldier Schwejk’s origins in the early Twentieth Century Cabaret of Prague and the film starts out with enormous energy. There are some great comic performances and, in particular, the best drunk act I’ve ever seen. Alfie Stewart does superb work in the title role, evincing the charming naivety of Ian Lavender’s Private Pike and the gormlessness of Michael Crawford’s Frank Spencer, (Sorry, younger readers). Shona McWilliams, Michael Mears, Aaron Neil, Andres Tiernan, Michele Wade. The films makers intend to gain the widest possible distribution of The Good Solder Schwejk in the future. In Part 2 I will provide some context for The Good Soldier Schwejk which I wish I’d had before seeing it.